While March has been a bit dreary, one of the highlights was getting the opportunity to read a newly released book and participate in my first book blog tour. Thankfully, it is a book that I enjoyed reading during these bleak March days. 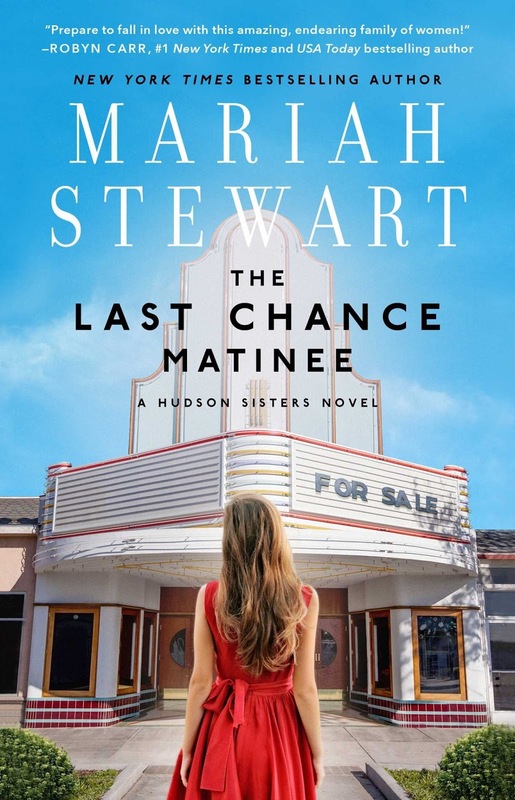 If you are looking for a fun, frothy piece of romantic escapism, then you should check out The Last Chance Matinee. It combines three sisters (one meeting the other two for the very first time), Hollywood, pleasant & quirky small towns, and several hints at romance. When the Cara, Allie and Des learn that in order to receive their hefty inheritances they must live together and rebuild their hidden family's art-deco theater, they balk at the idea. However, Stewart weaves the story well. With interesting characters and an engaging plot, readers will be able to put off their agendas and escape into a fun read. This book is the first in a series of three, with this book focusing mainly on Cara's story. It reminded me of Nora Roberts' bride quartet, so if you liked that series, you will enjoy this one as well. I am excited to know there are two books in the trilogy being published in the future! Pick this one up for a fun, fast spring break read! …Of course, I was fascinated. My grandfather died when I was four or five years old, and I have very little memory of him other than his deep, hearty laugh. I’ve been thinking for years that this foundation of a love child and secret siblings would make a great story; but not knowing all the facts, I was free to fill in the blanks—and so I did. Years passed before I felt I had the right story in my head. This is that story. I hope you enjoy my version of what could happen under such circumstances.